One of the main facts is that the Wing Commander is from Tamil Nadu and the state will be going to polls only on April 18. While it is illegal for a member of the Indian Air Force to openly express support for a particular political party, a post has been making rounds on social media of Indian Air Force Wing Commander Abhinandan Varthaman snapped on camera with a saffron scarf. 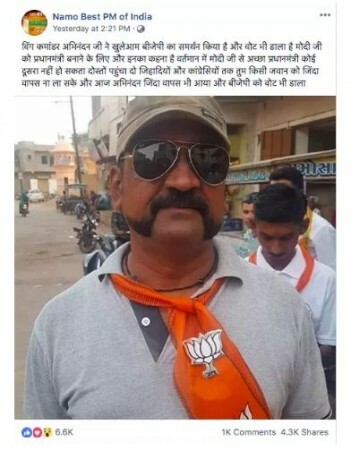 The post, which was initially uploaded on Facebook by a page known as "Namo Best PM of India", showed a man with sunglasses and the trademark Abhinandan Varthaman moustache with an image caption saying that he voted for Prime Minister Narendra Modi. The caption was written in Hindi and said that Abhinandan is supporting the BJP and has said that no one can make a better PM than Modi. In addition to this, the caption also asked to send this message to "Jihadis and Congress". One of the main facts which prove that the image is fake is that Abhinandan is from Tamil Nadu. Hence, he will be in the Tamil Nadu to cast his vote and the state will be going to polls only on April 18. The man in the picture is seen to have already voted. The Manual of the Air Force Law states, "no person subject to the Act shall attend, address, or take active part in, any meeting or demonstration held for party or political purposes, or belong to or join, or subscribe in aid of, any political association or movement." The Act also states that a member of the IAF cannot be endorsed by a political party nor can he publicly be announced as a prospective candidate for elections, be it to the state legislative assembly, local body, the Parliament, or even be part of the election campaign of a candidate. The person can also not call out or condemn a candidate. Hence, it is impossible for Abhinandan to be vocal of his political leanings. When it comes to the physical features of the person in the image and the Wing Commander, there are stark differences which prove that the man in the photo is not Abhinandan. 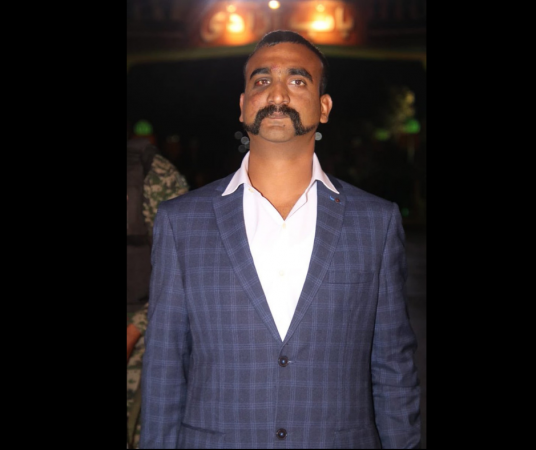 In a detailed report by AltNews, it can be seen that the man in the image has a mole under his right eye while Abhinandan does not. 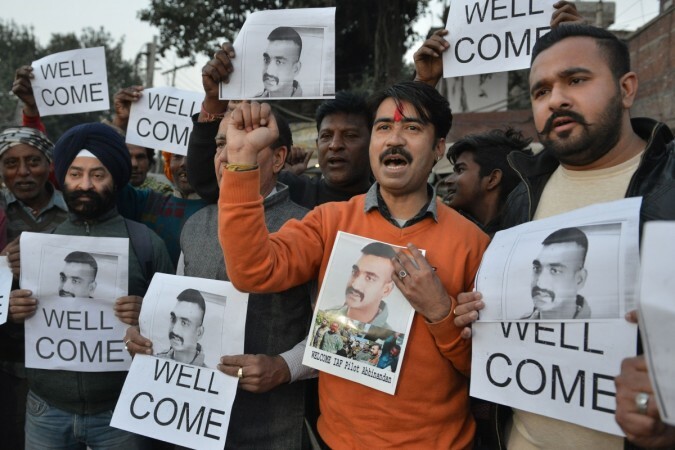 In addition to this, Abhinandan has a mole on his chin and the man in the image does not have a mole there. After careful consideration of the IAF rules as well as the physical feature of the Wing Commander and the man in the image, it can be proven that the man is not Abhinandan and that it is some other person posing as the IAF hero.